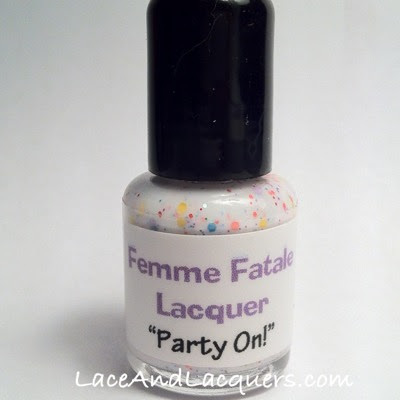 Lace and Lacquers: FEMME FATALE LACQUER: Party On! Femme Fatale Lacquer Party On! Have you guys heard of Femme Fatale Lacquer? If you're in Instagram a lot, like myself, you've probably have seen her around! 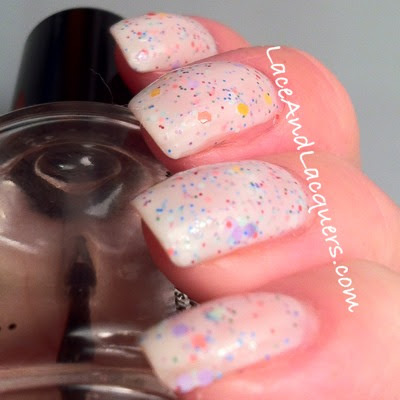 Well today I get the privilege of sharing and reviewing her polish, Party On!, with you guys! 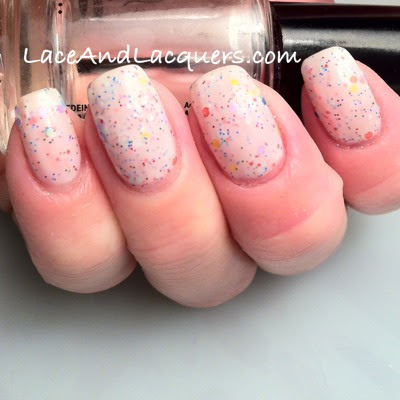 Small matte hex glitter: red/orange, purple, yellow, turquoise and white. Smaller matte hex glitter: red/orange, turquoise, light blue, green, and purple. 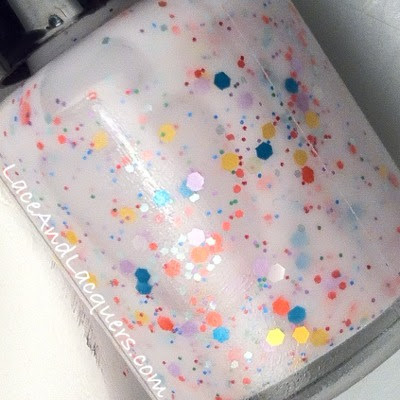 Smallest matte glitter: light blue and orange/red. PHEW! 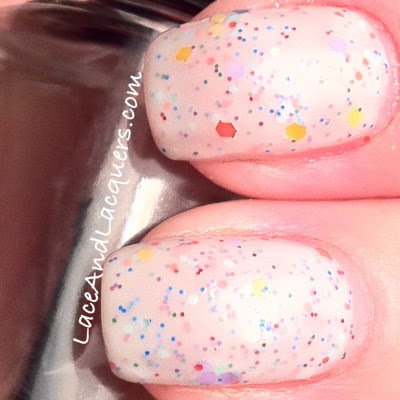 That's a lot of glitter for one polish! Hahaha. I had no issues with the application of this polish. Everything went on smooth, even, was easy to build up, covered well, and dried fast. What a pretty little polish! Pretty! 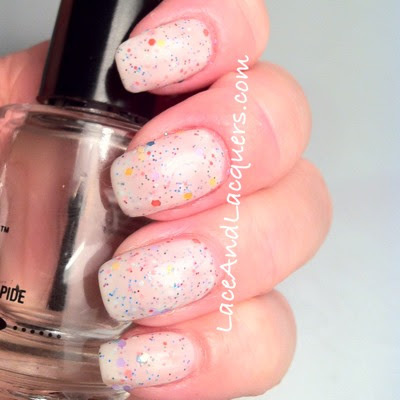 I always admired all the pale creams with rainbow glitters but I don't have any...or maybe I have one. Now I'm not sure haha. The polish is very pretty and looks really nice on you.